There are tons of online courses for freelancers these days. It can be a challenge to know which ones really deliver when it comes to value. And you guys know I’m all about value! 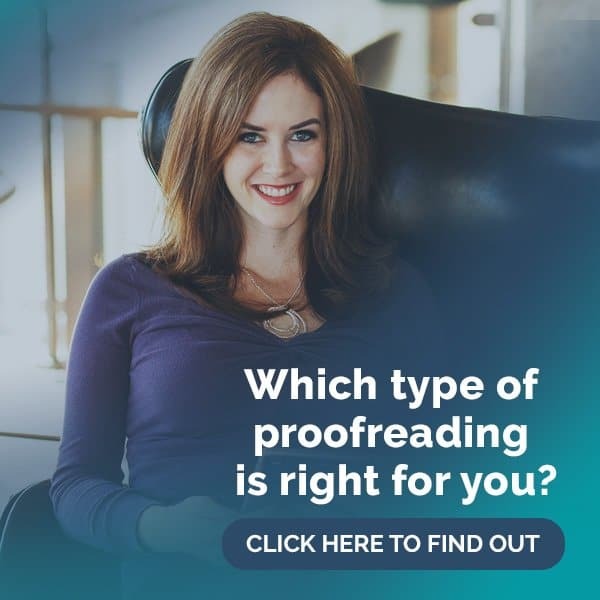 So I asked Jennilyn, a freelance copywriter and Proofread Anywhere team member, to take a look at the Copywriting Academy course from Ray Edwards to see if it’s really worth all the hype. Here’s her totally honest Copywriting Academy review. Take it away, Jennilyn! Q: First off, what is Copywriting Academy? Copywriting Academy is Ray Edwards’s premier online course. In case you aren’t familiar with Ray, just know he’s one of the best copywriters in the biz. 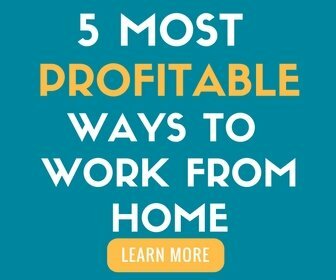 His copy has helped entrepreneurs like Tony Robbins sell millions of dollars worth of product, and he’s penned several books on copywriting and marketing. In short, he’s the go-to copywriting guru. Don’t worry if you aren’t really sure what these things are — you’ll be learning what to write, how to write it, and what role every important piece of copy plays. Q: You say it covers the basics. What are some things students learn in this course? Copywriting Academy is made up of eight modules. Each module has several lessons that drill down into the topic in greater detail. The lessons have downloadable videos, audios, slides, transcripts, templates, and worksheets. The templates and worksheets are AWESOME. Some of them have samples that are then cleaned up in the videos for you to see how mediocre copy gets jazzed up into great copy. You don’t just learn what to do… you see how to do it, too. Module One: Quickstart. This module covers what copywriting really is, what it isn’t, and why you shouldn’t feel like a sleazy used car salesman when you write sales copy. Module Two: Irresistible Offers. You’ll learn the foundations of good copywriting (namely, serving customers who want and need what you have as opposed to setting up a hard sell to people who aren’t really listening to you). Module Three: Persuasion Blueprint. Here Ray goes over his two Frameworks (read: formulas) that make up all successful copywriting. Module Four: Headlines and Subheads. Ray explains the basics of what makes good headlines and why they are important. 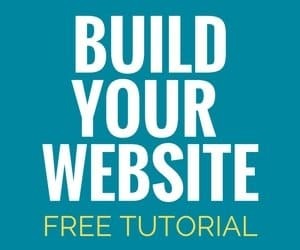 He also provides 21 proven headline templates and some pretty cool headline tools. Module Five: The Fascination Factor. You’ll go over what persuasion points are (this is key!!!) and how to make them absolutely magnetic. The templates in here are an absolute gold mine. Module Six: Resistance Removal. How do you get customers over their fears and ready to buy? This module walks you through that step. Module Seven: Closing the Deal. This is where you learn how to end your copy in a way that makes sales. Ray gives more examples and templates. This is the part of copywriting that usually makes people feel uneasy. But once you’ve worked through the rest of the modules, you’ll understand why there’s no reason to hesitate. Module Eight: Inbox Magic. The final module covers everything you need to know about emails — and I mean everything. Not just how to write them, but how to avoid spam complaints and other critical issues. Each one of these modules covers a core aspect of great copywriting. This is the kind of resource you’ll reference again and again as you focus on a particular skill. If you do any copywriting (whether for yourself or as a freelancer), you’ll use these skills constantly. Probably for the rest of your life. There’s also a ton of bonus material. My favorite so far is a lecture on how to create a six-figure income just by writing copy for other people. Q: Who is the Copywriting Academy for? The Copywriting Academy course is actually set up for two different types of students: Freelancers who want to add copywriting to their services and entrepreneurs who want to learn how to write the copy they need in their business. At first glance, I wasn’t sure how that was going to work, but Ray’s course actually services both groups nicely. You can tell he’s done this for a long time and has had a lot of students over the years. He has a great sense of what works and what doesn’t. Each module either teaches how to write a specific piece or builds on the piece before. So if you do the assignments, you’ll finish the course with a beginner portfolio (or all your business copy) done. Q: So are you saying there’s homework? How heavy is the workload? Most of the modules in Copywriting Academy end with you doing some writing. It’s a writing course, after all. A few modules build on each other, so you’ll be writing a piece in one module, then adding to it in another, and fine-tuning it later on. Each assignment should take 20 or 30 minutes to do, but it might take an hour if you’re a perfectionist or trying too hard. My advice is not to spend more than an hour on any one part, though. Remember that you’ll be adding to it or editing it later. In fact, you may find that it’s more effective to spend the 30 minutes on your first samples just to get them done, and then come back and do a second sample once you have more practice with the foundations. Another thing I love is that Ray gives you sound advice on how to develop and edit a piece. He even edits a few in front of you, and guess what? Even Ray had typos! It happens to everyone. It’s a self-paced course, but you’ll want to keep moving. You can go through it quickly if you’re eager, or take your time and really absorb and master each unit before moving to the next. There’s no time limit on your access to the course — it’s yours forever. You can also download the audio, transcript, and even slides for almost every lesson, too. (A few of the intro lessons aren’t downloadable, but they’re intros, so they aren’t critical.) That said, don’t take too much time — you learn copywriting by doing. For your reference, I’m already a freelance copywriter so I don’t have a lot of the “newbie hang-ups” that some people might have. I got through all the modules in a little over a week, and now I’m working through them again to glean as much as I possibly can. Q: Tell us more about that bonus material you mentioned! Then there’s the Facebook community where you can get support and feedback from other people who are taking the course. Ray also does coaching calls nearly every month, sometimes more often. They last more than an hour, and if you attend the live call you can ask Ray questions directly. There’s also a huge archive of past coaching calls that you can download and listen to. Q: That sounds awesome. So what’s your favorite part of Copywriting Academy? The tagline says it all: How to write copy that sells without being salesy. I think that is the biggest turnoff on this kind of writing for freelancers, and I think selling can trip up entrepreneurs, too. The first lesson in the course talks about how a sale is always being made, and that is so true. I think that realization makes you instantly a little more comfortable writing a sales piece. Everyone from the checkout girl who asks me to donate a dollar to charity to my five-year-old begging for five more minutes of playtime before bed is trying to sell me something. It’s all in the way you go about it, and this course nails that. Once you realize that you aren’t trying to extract money from someone’s wallet and you’re trying to help them solve a problem, you’re in a much better frame of mind to write your copy. I also loved the writing templates. Staring at a blank page vexes newbies and experienced writers alike. Copywriting Academy not only delivers solid formulas for producing great copy, it also gives you plug-and-play templates with loads of examples. Don’t be put off by the idea of a template, though! The piece will be completely customized and 100% yours by the time you get through all the editing steps. The templates just help you stay on track with your message. Q: So is the course really worth it? This course is an investment, for sure. At $2,000, it’s not for casual learners. But if you’re serious about branching out into this lucrative field, there’s no better training out there that I’ve found. Ray’s knowledge goes so deep and his teaching style is so accessible that you’ll learn from him no matter what your level. Really, it’s the type of course you can and should go back to every 6-12 months for a refresher. You’ll get stronger each time. If you’re an entrepreneur with a product to sell, you’d be hard-pressed to find a good copywriter to create all these pieces for you for less than the course price. And even if you did, the caliber of writing wouldn’t be very high. You’re better off doing it yourself than outsourcing it to a lowball writer. Also, I’ve never taken an online course with this much content and bonuses (and I’ve taken probably a dozen other courses!). I’ve been a freelance copywriter for two years, and I still got a ton of value out of Copywriting Academy. Ray did an amazing job here. I’d recommend it without hesitation. We love this! Copywriting is a great skill set and yet another fabulous career that you can do from anywhere. Thank you, internet! We’ve had freelance writers and writing courses on the blog before, but this one is different — it’s a top-shelf course that will take you from newbie to professional very quickly. It’s not every day that you get to learn and hone your craft from an industry leader like Ray Edwards. 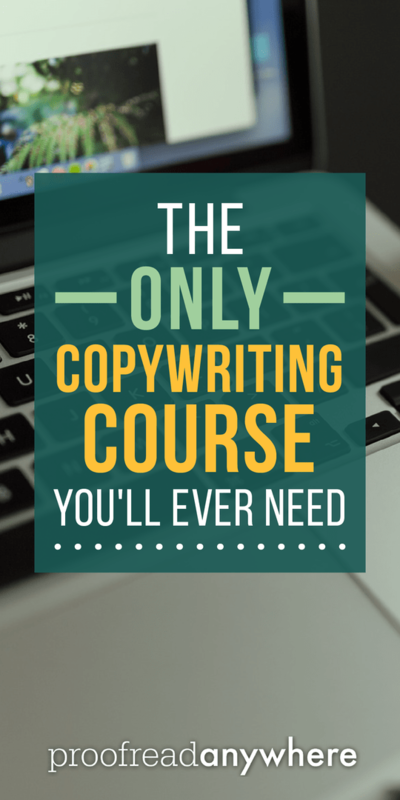 He only opens up this course a few times a year, so if you’re ready to ramp up your copywriting game and want to work with the best, there is no better time or opportunity than now. Where do you land on copywriting — is it a valuable skill set or a hack? Let me know your vote in the comments!